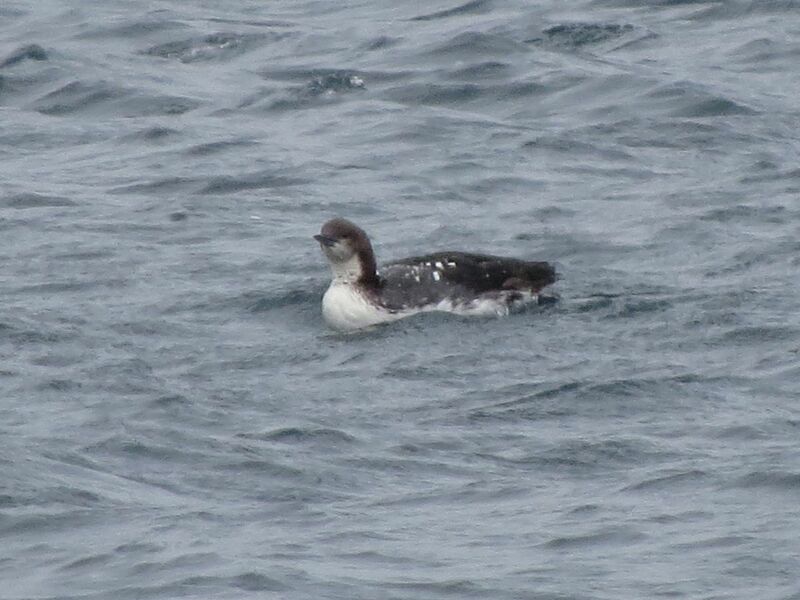 This Pacific Loon, moulting into breeding plumage, was discovered and photographed at St. Vincent’s on May 18, 2014. 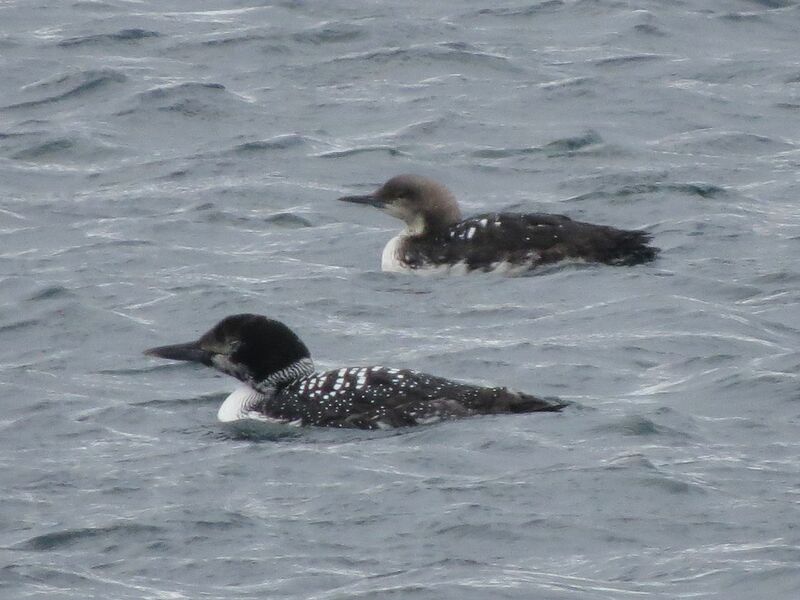 Common Loon in foreground for comparison. Origins: Breeds in Alaska and northern Canada as far east as Baffin Island, as well as eastern Russia, and winters mostly on the Pacific coast. Record Details: Four records for Newfoundland. The first two records occurred during the Cape St. Mary’s Christmas Bird Count – (1) December 21, 1986 and (2) December 18, 2004. (3) An individual (apparently moulting into breeding plumage) was first discovered at St. Vincent’s from May 18-25, 2014 – furnishing the only photo-documented record thus far. Presumably the same bird was spotted numerous times over the next four years at the same general location (most recent report as of writing was April 8, 2018). (4) One transitioning from breeding to winter plumage at Mummichog Provincial Park (Codroy Valley area) on November 4, 2016. Another unconfirmed report came from Bear Cove (near Cappahayden) on December 3, 1989. The characteristic “chinstrap” is visible in this photo of the Pacific Loon (same bird pictured above).